First of all, here's How to Remember Dreams. thing makes you too comfortable, then stop. Pay attention to any sesnations in your body that you experience during a dream, or while working on it. What do they tell you about the dream? You know you're onto something when you have that "AHA" experience - like a lightbulb popping. Feeling tone: what is the primary feeling in the dream. What does it remind you of in your life? Does the feeling tone change at different points in the dream? Why? Colors: how are colors used in the dream? What feelings and meanings might be associated with them? What do the colors remind you of? Time and space: how are time and space used in the dream? What feelings do these create? Is the dream communicating an idea by how it uses time and space? Missing and vague parts: what parts of the dream are vague or unclear? Is something missing that should be there? These might be the points where dream censorship by the ego is at its strongest. Focus on these parts. There's something important going on there. Use free association and the other techniques described above to fill in the gaps. If there is a vague part to the dream, try to catch whatever details you can. For example, if you can't remember a person in the dream, can you remember what they were wearing, the color of their eyes, the color of their hair? Who does this remind you of? All of these techniques work best if you are spontaneous and free wheeling. Let your imagination go. Don't try to force or over-control the process. Be honest. Don't censor ideas. Try EXAGERATING some important aspect of the dream. In your mind, in writing, or in a dream enactment, amplify the feeling, action, or situation in the dream. Take it to the limit. Make it as intense as it could be. Where does this take you? Robert Moss, a well-known expert on dreams, recommends doing some "homework" on a dream that you want to understand better. That homework falls into two categories: getting background information and experiential research. If you dreamed about being in Hawaii, read about Hawaii. If you dreamed about wearing a red hat with a big feather, try actually wearing such a hat to see how it feels. Without a doubt, this is the most comprehensive as well as in-depth book ever written about dreams. It covers almost everything you would want to know, including the scientific research on dreams, the role of dreams in history and literature, the various theories about dreams and dream interpretation, and the role of dreams in mental health, problem-solving, and creativity. If you wanted to learn as much as you can about dreams and are willing to read only one book on the topic, this is that book. 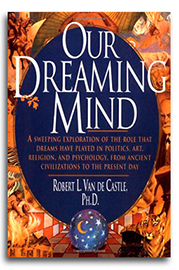 Van de Castle comes down a bit hard on Freud, but otherwise this book is a well-balanced voyage into the complex world of dreaming. Here's a book that's slowly disappearing, yet it is one of the best written on the topic of how to work with dreams in a way to gain better insight into yourself and the problems you confront in life. 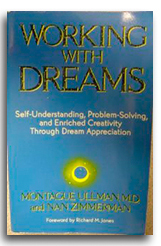 Montague Ullman was a psychiatrist, psychoanalyst, and parapsychologist who founded the Dream Laboratory at the Maimonides Medical Center in Brooklyn, New York and for over three decades actively promoted public interest in dreams and especially dream sharing groups. Much of what he learned is in this book. Grab one of the few copies that are available at Amazon! You can't say that you're well-read on the subject of dreams if you haven't at least browsed Freud's classic text, first published in 1900 as the cutting edge study of how the mind works at deep unconscious levels. 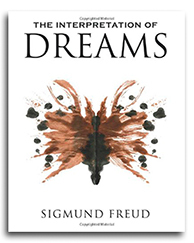 Many people criticize Freud for dwelling on sexuality, including dreams as an expression of repressed sexual wishes, but his theory goes far beyond that issue. As one of the most well-known treatises in psychoanalytic literature, it is a tour de force voyage into the realm of the unconscious, as well as the foundation for the modern age of how to work with dreams in psychotherapy. 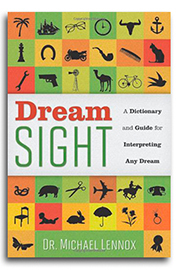 Many books on dream interpretation take a cookbook approach to dream symbolism. A tree means this. The sun means that. Although helpful in generating possiblities for understanding one's dreams, such cookbook approaches should be taken with a big grain of salt. Dream Sight does a good job of avoiding such mechanistic interpretations. It suggest that you begin by reading about the universal symbols in your dreams, then consider the unique context of your dream, and finally identify your unique personal associations to dream symbolism. This method leads to a deeper, more personalized understanding of your dreams. 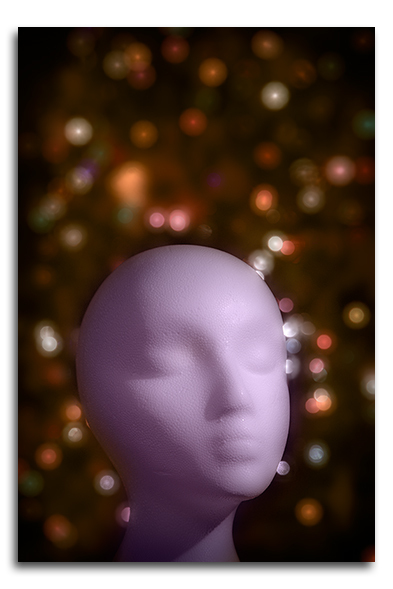 A variety of different types of dreams are discussed, including recurring dreams, precognitive dreams, and nightmares. It also offers advice on remembering your dreams and interpreting them in as objective way as possible. As a teacher, healer, and mystic, Bethards takes a more spiritual approach to dreamwork as a way to develop your higher consciousness. Using principles from eastern philosophy, such as karma and reincarnation, she sees dreams, along with prayer and meditation, as a tool to help you achieve the goals you have set for yourself in your life. This is one of the most popular and highly rated books on dreams in Amazon. You would think that because dreams are such a fascinating topic, there would be many documentaries on this subject. I'm sorry to say that there aren't. In fact, you could count on one hand these documentaries and still have some fingers left over. As part of the "Best of Nova" series, What are Dreams is one of these preccious few. Approaching the topic mostly from the standpoint of traditional science, it describes research on how REM and Non-REM dreaming affect mental and emotional functioning in everyday life. The video clearly shows us that dreams play an important role in our psychological and emotional health. This video can be streamlined online. 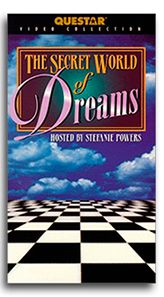 Hosted by Stephanie Powers, this documentary takes a case study approach to the topic of dreams. 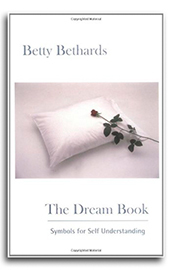 It offers examples of how various people use dreams to resolve problems in their lives. One women learned how to improve her diet in a dream and as a result lost 20 pounds in real life. A young man suffering from nightmares of being chased one night fights back in his dream. A Vietnam vet learns how to use dreams to recover from his war experiences. This is another video that seems to be disappearing, so grab it while you can. The Power of Dreams - An exellent two-part video that originally aired on TV, but is now almost impossible to find. I wish I could link to it here. I've shown this video to my classes for many years. Although a bit old and therefore lacking coverage of contemporary dream research, it nevertheless does an excellent job of exploring dreams from the perspective of the psychotherapist as well as the scientist. It includes an accurate summary of such theorists as Freud and Jung, as well as interesting interviews wtih well-known dream researchers, including the hard-core skeptical scientist Alan Hobson (founder of the activation-synthesis theory), the versatile psychoanalytic thinker Ernest Hartmann (a "boundaries of the mind" theorist), and even William Dement, the pioneer of REM research, who describes how a dream saved his life. What does it mean to say dreams have a "meaning?" What did the ancient Greeks believe about the healing power of dreams? What role do dreams play in people suffering form trauma? These are just a few of the fascinating issues covered.... If you can find this video anywhere, grab it!